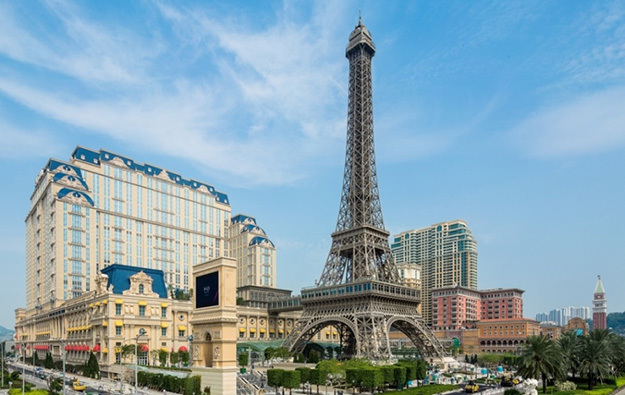 Casino resort the Parisian Macao – located in Macau’s Cotai district – has been linked by the city’s Health Bureau to three confirmed cases of Legionnaire’s disease. Sands China Ltd – the owner and operator of the Parisian Macao (pictured) – confirmed to GGRAsia it had been contacted by the Macau health authorities about the matter. The firm said in an emailed reply it was “fully cooperating” with the bureau’s investigations. “As we currently have no other details, we are not in a position to comment further at this time,” the reply stated. The Macau Health Bureau issued a press release on Saturday confirming that three Hong Kong men that had stayed at Parisian Macao were diagnosed with Legionnaire’s disease. The bureau stated that – according to information provided by the authorities in Hong Kong, where the men are being treated, and according to the Parisian Macao’s hotel records – two of the men had stayed overnight at the casino resort in January and March, respectively. The third person had stayed overnight at the property in December 2016. One of the infected men remained in critical condition, while another was in serious condition, the Hong Kong authorities said over the weekend. The third person had already been discharged from hospital. GGRAsia had asked Sands China to comment on whether the matter had had any the impact on hotel bookings and on operations for the upcoming Labour Day weekend, a peak period for Macau’s tourism and gaming industries. The company declined to do so. Mainland Chinese citizens are likely to be able to enjoy at minimum three consecutive days of recreation during the Labour Day holiday, i.e., during the period Saturday, April 29, to Monday, May 1, inclusive, which is prescribed as an official festive period by China’s State Council. The Health Bureau note said that since last Friday the authorities had conducted a string of inspections to fountains, jacuzzis and swimming pools at the Parisian Macao. The property’s pipe system also had been inspected. The bureau stated water samples were collected from different areas of the Parisian Macao as part of the investigations to find the source of the infections. The results should be available in 10 days, according to the press release. The document said operations at the Parisian Macao’s swimming pool area were suspended, so that the area could be cleaned and disinfected. The release did not mention when the facilities would again be open to the public. The bureau also ordered deep cleaning of all jacuzzis and of the property’s pipe system. The US$2.7-billion Sands China’s 3,000-room Parisian Macao was launched in September 2016. Legionnaire’s disease is a serious lung infection caused by legionella bacteria, commonly found in water tanks, cooling towers, spas and water fountains. According to the World Health Organization’s website, Legionnaires’ disease has an incubation period of two to 10 days, with a period of up to 16 days recorded in some outbreaks. The United Kingdom’s National Health Service states in its advisory material that large buildings, such as hotels, are more vulnerable to legionella contamination than smaller buildings, because they have larger, more complex, water supply systems in which the bacteria can quickly spread. Legionnaires’ disease can be treated with a course of antibiotics. In some cases, it can lead to life-threatening responses in the human body, including organ failure and septic shock.